Would you like to tap into the power of an employee referral program? A referral program that emphasizes potential employee referrals from current employees is a method employers use to find superior employees. This definition includes potential employee referrals from social media and social networking, too. Employees are keen to refer their friends and associates to their current employer if they are happy with their current employer. They want to work with people whom they like and respect. They also want to work with associates whom they believe will get the job done. And, they want their company to succeed. So referrals by current employees of great people contribute to their company's success and their own job security. Additionally, if your employees love their work, love and respect your company as a workplace, they will want to share you with the people they care about the most. Why not share a good thing with friends and family members? Employees want the respect and admiration of the people that they know. They will earn more of it by thinking of them and including them in an excellent organization. 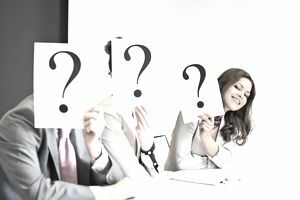 Few employees are willing to put their own name and stamp of approval on an individual if they aren't convinced the referred person will do a great job. Current employees also have a solid picture of the organization's culture, the environment employers foster for employees at work. They know which friends will fit in with your current crowd of employees. You can ask employees for referrals for specific jobs or generally, to develop a pool of special, talented candidates before you need to hire a person for a specific position. You will find that your employees are willing and able to send employees your way. In this world of online social media and social networking, an employee referral program has even broader potential to locate qualified candidates. Each person who you employ probably has wide-ranging friendships on Facebook, LinkedIn, Twitter, Pinterest, and Google+. Your employee referral program allows you to tap into these valued contacts with everything from personal outreach to posted job ads. When an employee posts an open job on LinkedIn, his or her hundreds of associates see the ad and inquire about more details from the employee. These are a legitimate source of employee referral candidates, too. Any interaction that the employee does to bring the referral to your door is eligible to count as an employee referral. The most important factor in expecting employee referrals to continue is that you provide speedy feedback to the referring employee. Too often, in organizations, employee referrals are sorted into the current pile of resumes and treated the same as resumes that came in across the transom. This is a big no-no. You need to treat employee referrals differently. They deserve special treatment and the referring employee deserves feedback about what you have decided about hiring the referred candidate. He or she is expecting feedback so that they can update the individual they referred and because they have invested their personal recommendation in this space. Even letting the employee know that, while you have nothing currently available for the referral, you have placed the individual in your pool of candidates that you will consider for future openings, is crucial. This information will satisfy the employee's need to know and give them a message they can pass on to their referral. An employee referral program solicits the referral of qualified job candidates from current employees who know your workplace culture and understand your job requirements. With or without a referral bonus or incentive, a referral program is in your best interests for recruiting superior staff. Successful employee referral programs range from programs that substantially reward employees for critical position referrals to referral programs that provide no incentives at all for an employee referral. Referral bonuses range from a token of appreciation to a $10,000 check for the right employee referral. Other companies rely on building a company culture that encourages employee referrals so that employees get to work with great teammates. Recognition and appreciation are demonstrated to employees who send their organization qualified employee referrals. These programs gain widespread support because the employer has effectively built in enough employee recognition to make the referrals worth an employee's energy and time. Despite their hype and potential usefulness, many employee referral programs fail to attain their program goals: superior employee referrals. You can find out more about what makes an employee referral program successful. You'll also see how to build a company culture that encourages employee referrals. An employee referral program also involves items such as a referral bonus and referral incentives.